Recent tragic events in London resulted in unforeseen delays to the publication of London's environmental strategy. 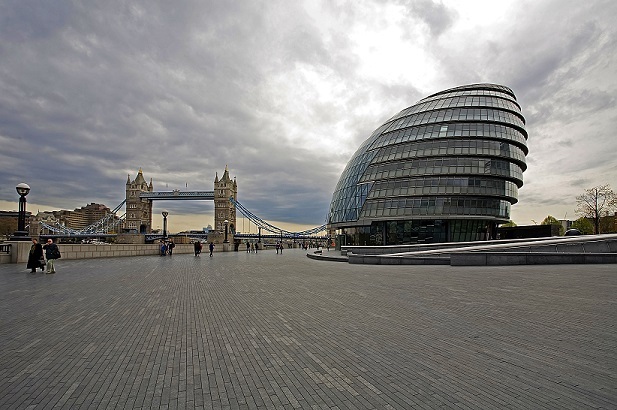 London’s environmental strategy, expected to include wide-ranging plans to boost solar deployment in the capital, is expected to be published next month City Hall has revealed. According to a spokesperson for mayor Sadiq Khan’s office, the fallout from recent tragedies to have struck the capital have meant several City Hall announcements have been postponed, as responses to the unexpected and tragic events of last month took precedence. The London Bridge terrorist attack on June 3 followed by the Grenfell Tower disaster just 11 days later meant several ‘comms holds’ were put in place that, according to City Hall, have “significantly impacted” the scheduling of announcements. Khan’s office confirmed that the environmental strategy had been completed and was now sitting in the backlog of announcements due to be made. The spokesperson said it was expected to publish the document in mid-August. In October last year, deputy mayor for the environment Shirley Rodrigues stated that London’s solar strategy would be published in spring 2017 as part of a wider environmental policy consultation. However, Solar Power Portal learned that this had been delayed due to the calling of a snap election by Theresa May. SPP was told that due to pre-election rules, the Greater London Authority (GLA) was “restricted on what can be published and communicated”. Following the events of June this has been pushed back further however the GLA is now close to being back on track despite the ongoing challenging period. During the mayoral election campaign last year, Khan promised to be the “the greenest mayor London has ever had”, with plans to kick start a clean energy revolution in the city. His London strategy is expected to set out plans to boost solar deployment on GLA and Transport for London (TfL) buildings while expanding the Energy for Londoners initiative. This sees the GLA procure locally-generated electricity under the Licence Lite scheme and re-sell it to local businesses. The London Assembly’s Environment Committee recently threw its support behind plans to expand Energy for Londoners into a fully licensed, domestic electricity supplier.